Verizon Wireless has just announced it will be offering the Samsung Galaxy Tab to its customers, pricing the tablet device at $599.99 and making it available in stores on November 11. The 7-inch iPad competitor will be available with a $20 monthly contract which will allow customers up to 1GB of data. This is very similar to the pricing announced by the Carphone Warehouse in the UK, a price that could be a little too aggressive if Samsung wants to eat into Apple’s dominance of the tablet market. 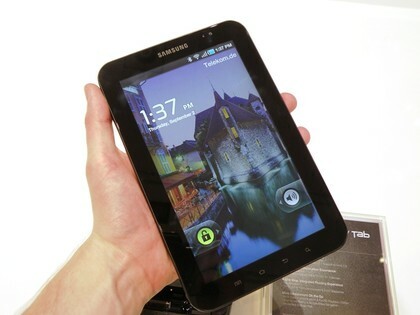 Steve Jobs doesn’t believe there is a market for 7-inch tablets, will consumers prove him right? Samsung hopes not.